In all markets, whether products or financial, supply and demand will always determine price movement. Now that I've said that, I'll modify it with the statement that government or other outside market stimulus efforts will always artificially influence markets. Looking back at the real estate and mortgage crash that began in 2006 and decimated the markets and created a recession, supply and demand was in second place behind artificial stimulus. Blame has been thrown around for the crash, and a lot of it settled on government stimulus and easily obtainable financing without adequate safeguards. It was too easy to buy and finance, so everybody wanted to be "in the game." Flipping was a huge business, and prices were rising so fast you could make money without any real investing expertise. So, people were flooding the market trying for short term profits, and eventually, it all came home to roost. During that period leading into 2006, demand was gigantic and supply varied by how many were being flipped versus held by regular buyers and rental property investors. It wasn't a market where true supply/demand factors could influence prices reasonably. It was a heyday and everybody wanted in. When it crashed, it crashed big. Low inventory: In current real estate markets, much of the upward pressure on prices is due to low inventory levels. Buyers are forced to compete for fewer properties, and prices bid up. Baby boomers aren't selling at levels of the past. They aren't seeing deals that entice them to dump their current homes and buy a replacement. They are waiting out price increases to add to their equity position. First-time buyers aren't buying at historic levels, but when they do they are willing to bid up prices to get what they want. Tougher mortgage rules: Buyers can't get those no income or no income verification loans that were common in the boom cycle. Lender requirements are stiffer, and government guarantees are as well. Not a lot more demand anytime soon: Demand should hold reasonably steady, as the economy and job situations aren't encouraging. So, no increased demand could push up prices more, but we don't think for long. Supply could take a jump: Let's say that prices continue to rise for a while. At some point, sellers waiting in the wings could decide that their equity is good enough and list their homes for sale. They are also concerned about rising mortgage rates damaging demand, so at some point, they are going to list to beat rising rates. So, what happens if demand stays steady and supply takes a jump? Logically, price rises could stall or even reverse a bit. 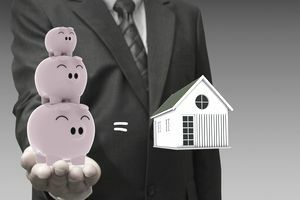 Lower prices or recognized value will probably lure more buyers, but we don't think in a direct ratio with more supply. Short term flippers could take a hit, as they are most exposed when it comes to short term price direction changes. Long term rental investors will find little difference in their outlook. Rents are still rising faster than home prices, so finding a rental home opportunity that cash flows well is a great investment. Just keep finding good deals.